You might think of Ferrari as a car company, and if you did, you’d be wrong. It’s so limiting. 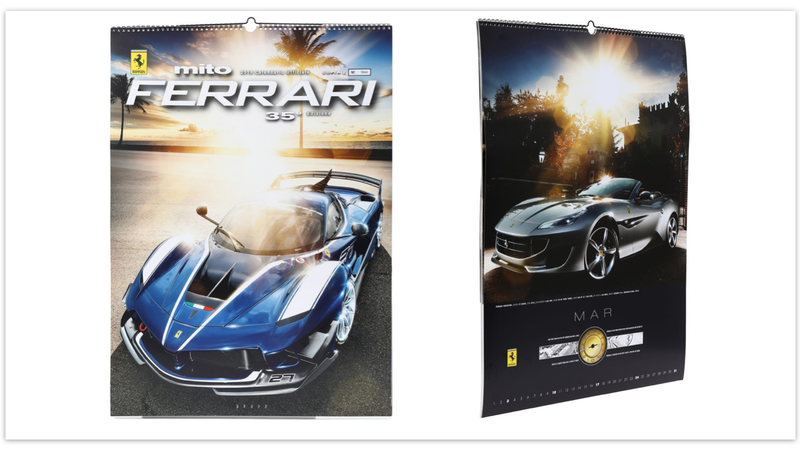 Ferrari should also be better known for its other materialistic conquests, like this $100 scratch-and-sniff calendar it convinced thousands of people to buy. Just think about this, critically, for a second: Ferrari listed a 2019 calendar online for 85 euros, or about $97 at current exchange rates, so that people can survive what will likely be another bad year through photos of cars they may or may not be able to afford. Ferrari described the calendar in its store as offering a “stimulating sensory experience” for the first time in its history, and listed it as limited to 5,000 copies. They’re already sold out, according to the store.